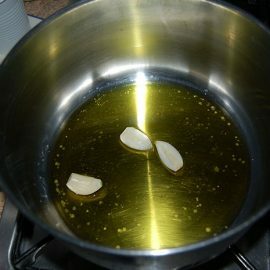 Take 3 cloves of garlic and fry in a pan with a little oil. 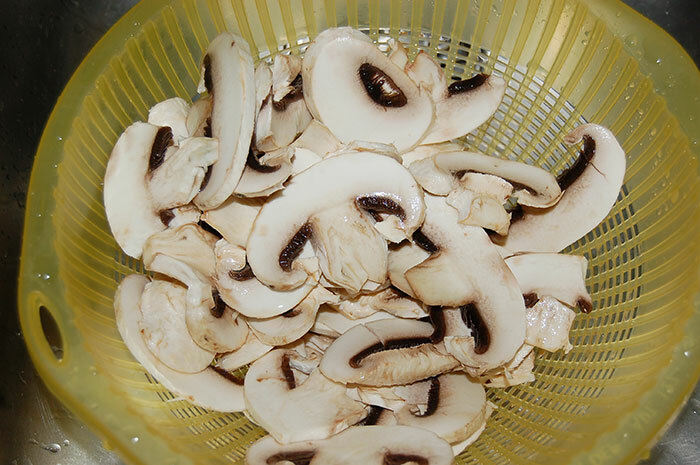 Take some mushrooms cut and cleaned and put inside the pan. 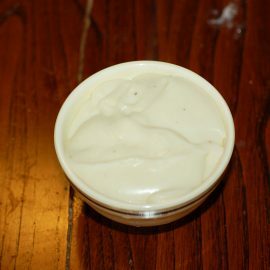 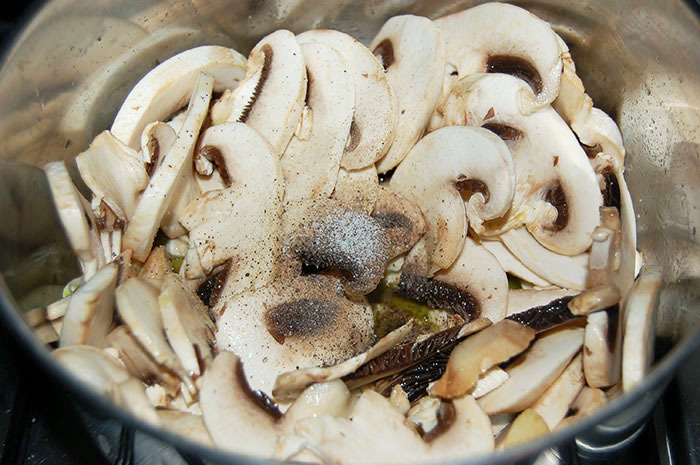 Add a little salt and pepper. 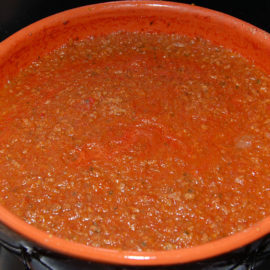 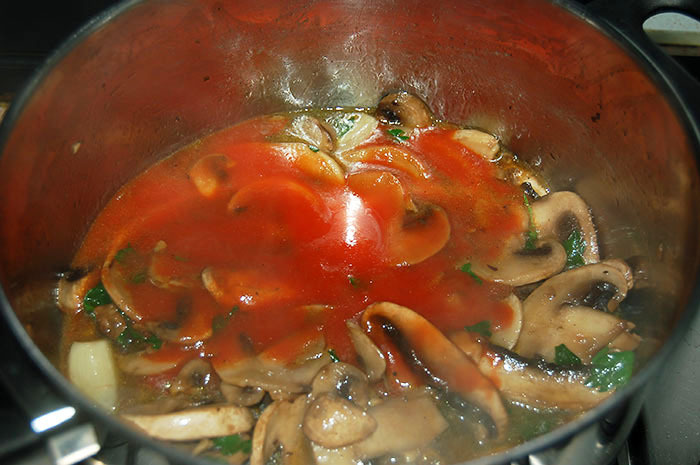 After 5 minutes, add a little minced parsley. 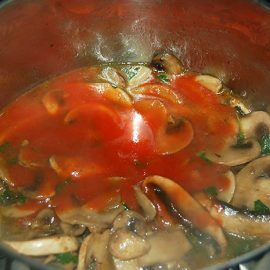 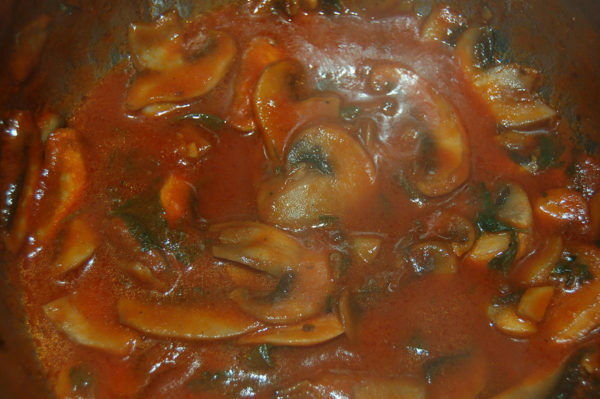 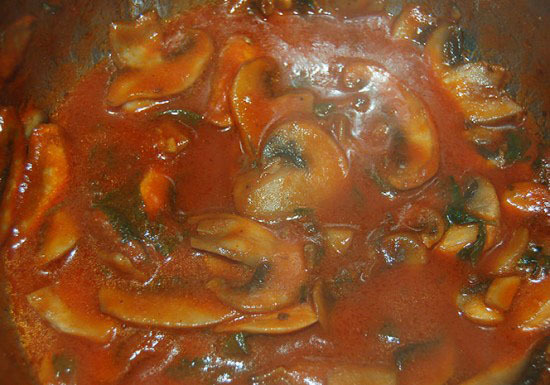 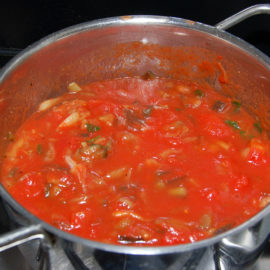 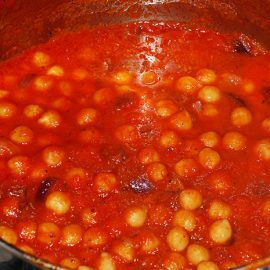 Cook another 5 minutes and add a little tomato puree, not too much because the tomato taste covers the flavor of mushrooms, add half stock cube and cook another 10 minutes. 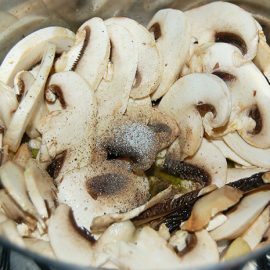 If you use frozen mushrooms extend the cooking time. 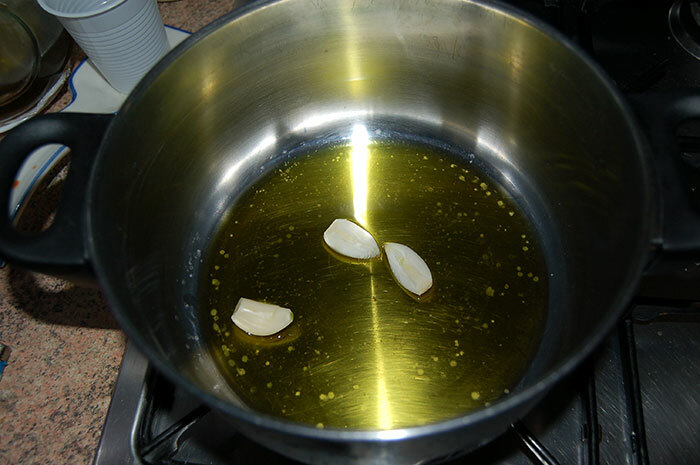 If necessary, add half a glass of white wine. 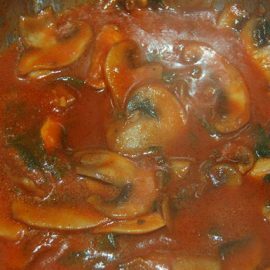 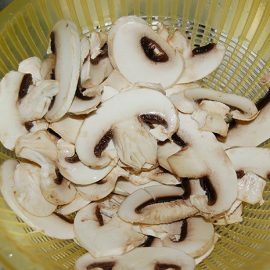 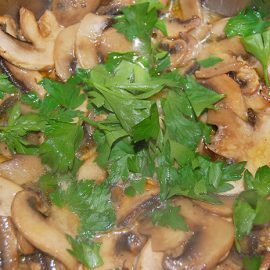 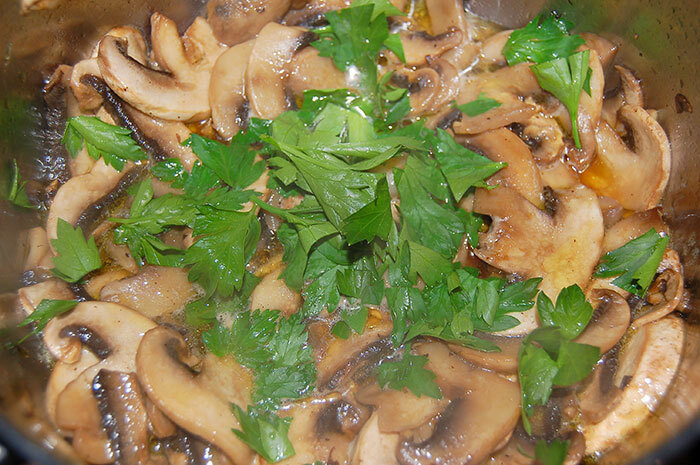 Mushrooms sauce is good with short pasta, to use with long pasta you will have to cut the mushrooms into smaller pieces, leaving someone bigger for decoration.